The Museum’s Board of Chancellors is dedicated to supporting the Museum and its mission to preserve and relate the long and proud history of Camp Roberts. They are equally dedicated to all the men and women who served and trained here, those who currently do so, and those who will do so in the future. The Camp Roberts Historical Museum Foundation is especially proud and honored to have these esteemed Foundation Chancellors represent the Camp Roberts Historical Museum in the world arena. 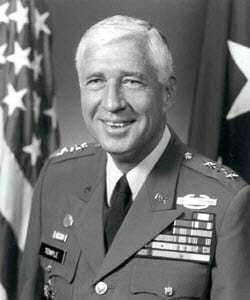 Lieutenant-General Herbert G. Temple is a former Chief of the National Guard Bureau with a long and illustrious military career, including service in the Korean War as an Army NCO. He currently resides in Palm Desert, California. 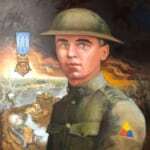 The Camp Roberts Historical Museum is greatly honored that LTG Temple continues his association with the Museum as a Chancellor of the Museum, a position he has held since 2003. Peter Gravett was born in Arkansas, and his father had served in a unit of Tuskegee Airmen during WWII. Although Peter was raised in California, he knew all too well the barriers of bigotry and segregation, for when he joined the National Guard it too was still racially segregated. 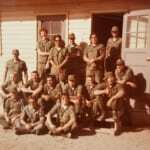 He went on to serve in the Regular Army and the National Guard for forty years. During his career as a L.A.P.D. police officer, he was awarded their Medal for Valor. 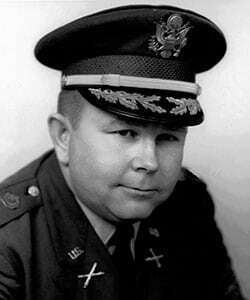 After many military commands, he eventually became Commander of California’s largest National Guard Division, the Sunburst Division. 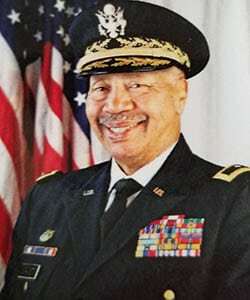 He was the first African-American Division Commander in the entire 225-year history of the National Guard of the United States. 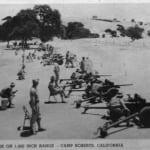 BG Muggelberg was instrumental in the establishment of Camp Roberts as the main training camp for the California Army National Guard. 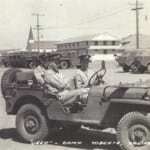 He was also the first National Guard Commander of Camp Roberts. He was a tireless volunteer for many local and state institutions, and a crusader for the rights of Veterans and retired seniors. He resided in Paso Robles, California. 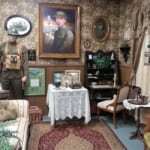 The Camp Roberts Historical Museum was greatly honored that BG Muggelberg served with us as a Chancellor of the Museum for several years, from 2003 until his death in 2012. Arlin Weinberger is the daughter of late United States Secretary of Defense Caspar Weinberger. 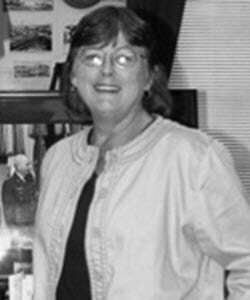 She has dedicated her life to preservation, conservation, and community and social service. She makes her home in Marin County, California. 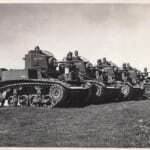 The Camp Roberts Historical Museum is greatly honored that she continues her association with the Camp Roberts Historical Museum as a Chancellor of the Museum, a position she has held since 2003. 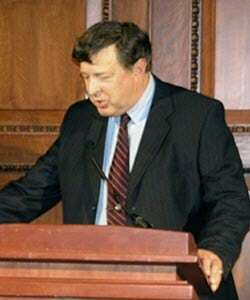 Caspar Weinberger Jr. is a Harvard-trained writer, author, producer, publisher, government advisor, and lecturer on National and International affairs. He is the son of late United States Secretary of Defense Caspar Weinberger. He worked for both Governor Ronald Reagan and later for President Reagan. He currently resides in Mt. Desert, Maine. 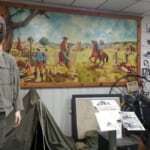 The Camp Roberts Historical Museum is greatly honored that he continues his association with the Camp Roberts Historical Museum as a Chancellor of the Museum, a position he has held since 2003. 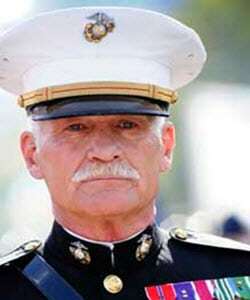 Dale Dye, a retired United States Marine Corps Captain who served in combat in Vietnam, has achieved success over the years as a presenter, businessman, and actor. In the HBO miniseries Band of Brothers he portrayed Colonel Sink, a former Commander of Camp Roberts. 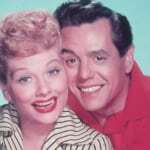 He acted in many other military-themed films including Platoon and Saving Private Ryan. He was military advisor for the HBO miniseries The Pacific. 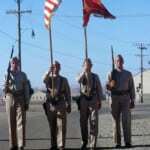 He formed an association with the Camp Roberts Historical Museum while filming at the Museum for the History Channel. He is the founder and head of Warriors, Inc., a company that trains actors for authentic military portrayals, and resides in the Los Angeles area. 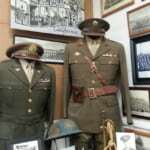 The Camp Roberts Historical Museum is greatly honored that he continues his association with the Camp Roberts Historical Museum as a Chancellor of the Museum, a position he has held since 2003. 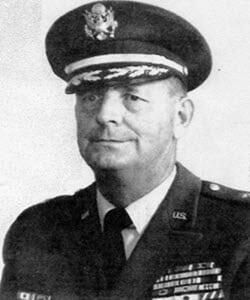 Colonel Baird’s military career began in 1955. 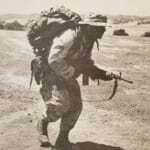 He is a former Commander of 1st Battalion 144th Field Artillery, California Army National Guard, and served in several other command and executive positions. 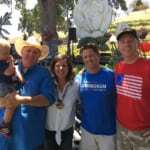 He is a former Commander of Camp San Luis Obispo, and a former Commander of Camp Roberts.